We were warmly greeted by Mr Clair and he explained in detail everything about the chalet. He also gave us some tips what to do in the area, and where to go. Chalet was located on a very quiet street but walking distance to the city centre and the lake. Would recommend for a family of 4 as the "mezzanine" with the 2 beds (for children) was on the landing. Amazing chalet in a perfect location! We recently spent a week at this lovely chalet. The property was spotlessly clean and very well equipped. The owner was extremely friendly and made us feel very welcome. 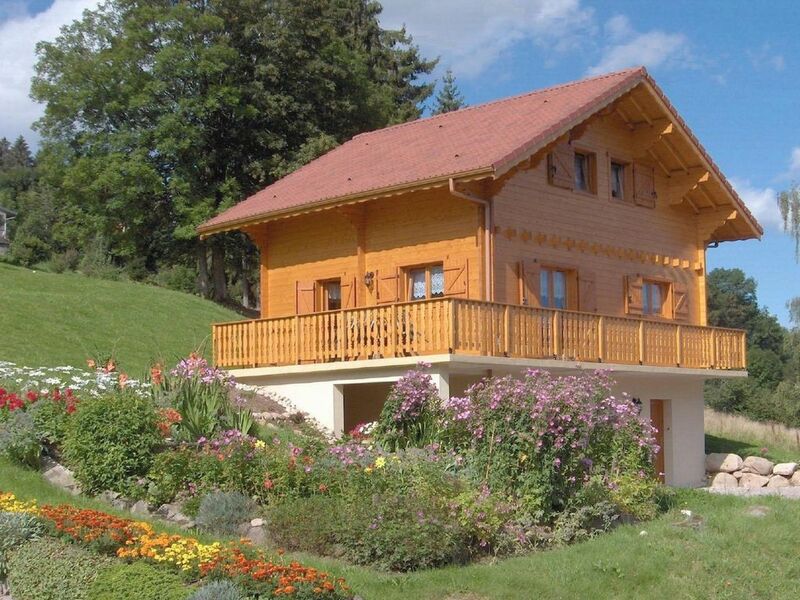 We would thoroughly recommend a stay at this chalet in this idyllic area. Lots of restaurants to choose from in the town only a 10 minute walk away with plenty of trips in the region, many offering breath taking views from the mountains. The Black Forest in Germany is only a 2 hour drive away and we would also recommend a visit to Strasbourg. We will definitely be coming back to the Vosges! Cette location chaleureuse est parfaite à tous les niveaux, la propreté, l’équipement, la proximité du centre de Gérardmer et la gentillesse de la propriétaire. Nous y reviendrons avec plaisir. Top huis op perfecte locatie. Heel propere woning, van alles voorzien. Dicht bij piste en centrum. Geen opmerkingen. Très beau chalet, super équipé et très bien situé. Je recommande cette location. Le chalet est très agréable, très bien équipé et situé à quelques pas d'une boulangerie et quelques pas du centre de Gérardmer tout en étant au calme. Chalet impeccable ! Très bien entretenu et pratique. Tout est prévu. Il ne manque rien pour passer de bonnes vacances en famille. Hôte très agréable et très prévenante. Très bien situé. Centre ville accessible à pied avec enfants depuis le chalet. De belles balades à faire. Nous avons beaucoup apprècié d'accueillir cette petite famille. Les parents et les enfants sont très agréables et très respectueux des lieux. Nous sommes contents de savoir que vous avez passez un excellent séjour dans notre chalet. Nous vous acceuillerons de nouveau avec grand plaisir. (Text automatically translated) from Nancy, take the A33 towards Epinal and Gerardmer. Along the lake (on your right) towards the city center / town hall and church and the market place. Take the first right and continue for about 400 m.